Should you take the time to review your Movers online? From the time you decide to move to the actual moment you are in your new home is a very long process for most. Hiring movers can be one of the most stressful parts of that process. That is why it is so important to review your movers online. 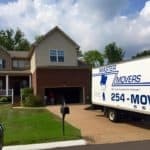 There are usually many many moving companies to choose from. If you are lucky you can get a referral from a friend or someone who has already used a moving company and liked there work. But what if you ask around and can’t get any referrals? This can be scary. Next you will probably turn to the internet and start looking up movers. Browse through their websites, check them out on the BBB, read their reviews, call them up and chat. It is really harder than most would think to choose which movers to use. It’s easy for a moving company to hire someone to make their website look very attractive and professional. It’s easy for a moving company to pay someone to advertise on the top section of search engines so you can find them online. It is not easy for a moving company to hire, good, qualified, clean cut respectful movers who will show up for work every day, treat the customer with respect and do a good job moving furniture. This is the toughest thing a moving company faces. Having good quality men to represent your company is what keeps customers coming back, that’s what makes your customers tell their friends, neighbors, and co workers how great your movers are. So for all of you who couldn’t get any referral’s from friends and you branched out, took that risk, narrowed down all your choices, and hired great movers. It is definitely worth five minutes of your time to go and leave them a review. These men worked hard for you, showed up on time, and treated you well. When you leave a review for them online it helps the next person out there browsing the web, reading reviews, pick a great moving company. At Master Movers we believe movers should be rewarded when a customer leaves them a review online. When a specific movers name is mentioned in a review they get a bonus. After all it was the mover who worked hard to earn that review. 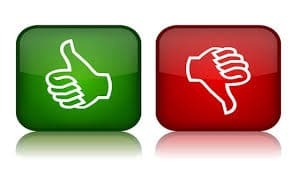 What do you think about leaving reviews online?